Bharti Airtel has selected ECI's Neptune (NPT) family of products to expand its mobile backhaul transport capabilities across India to support the increasing demand for bandwidth. Vodafone India has selected Ericsson to manage its optical fibre cable network for three years in 10 telecom circles. A merger between the Sri Lankan units of Indian market leader Bharti Airtel and Malaysian operator group Axiata is reportedly on the cards. Indian operator Idea Cellular has selected Ericsson to deploy a 4G/LTE network and to transform its existing 2G and 3G networks. Smartphone shipments increased by 23% in India last year, while neighbouring Pakistan gained 16 million new 3G/4G users in 2015. Pakistani 3G and 4G operator Zong has launched the country’s first 4G-capable internet-only SIM. The Indian regulator TRAI has outlawed differential pricing for data after a national debate which saw zero-rating become a hot-button issue. 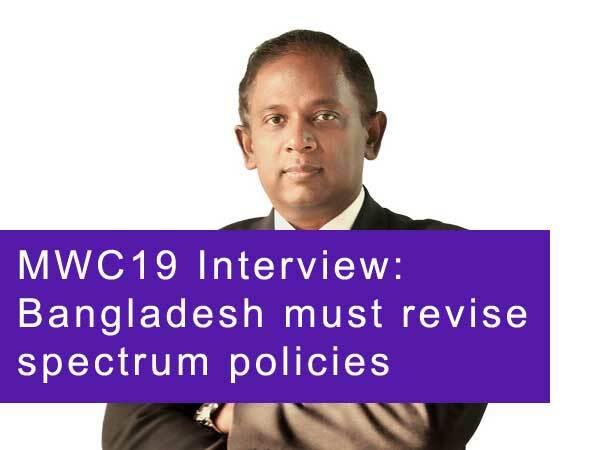 The Bangladesh Telecommunication Regulatory Commission (BTRC) is attempting to court flagging operator interest in this year’s proposed spectrum auctions by revising the entry criteria. Sri Lanka’s government is trading dedicated spectrum for a 25% holding in the local unit of Google’s Project Loon. Three of Pakistan’s operators have hit out against the government’s proposed sales tax on mobile handsets and SIM cards. Axiata Group and Bharti Airtel are merging their Bangladeshi units to push the combined venture into second place in the market. Indian market leader Bharti Airtel is believed to be on the cusp of acquiring 4G spectrum from rival operator Aircel for roughly INR38 billion ($357 million). India’s next spectrum auctions are set for a dramatic increase in the amount of available spectrum compared to last year’s round of bidding. Indian regulator TRAI has lashed out at Facebook’s campaign to protect its Free Basics offering. Russian operator MegaFon has partnered with China Unicom on its DREAM project. Indian operators Reliance Communications (RCom) and Reliance Jio have formed a partnership to share and trade spectrum. Indian operator Tata Docomo has partnered with Syniverse to enable subscribers to manage their mobile expenses. BlackBerry will no longer pull out of Pakistan after resolving a dispute with the country’s government over data privacy. Between falling mobile revenue, rock-bottom foreign investment, and hikes in sales tax on devices, Pakistan’s mobile operators have had a fairly bleak year. Malaysian group Axiata is acquiring TeliaSonera’s stake in Nepali operator Ncell for $1.03 billion. Ooredoo Maldives has partnered with Huawei Marine for a $25 Million Project to deploy a nationwide fibre optic submarine cable. Reliance Communications (RCom) and Vodafone India are reportedly negotiating a spectrum-sharing agreement for 3G spectrum in Delhi and Mumbai. Facebook is calling for Indian users of Free Basics to defend the service against a potential ban by the country’s regulator. A consultant hired by Pakistan’s regulator has deemed that the market will not be ready for another 3G/4G spectrum auction for at least another year. Kazakhstani operator Transtelecom JSC has deployed 100G DWDM optical transport equipment from Ekinops across its country-wide optical network and to the border of China. The government of Bangladesh has extended its social media embargo to cover Twitter, Skype and imo. Indian newcomer Reliance Jio is looking to strengthen its presence in the market via acquisitions of smaller firms in order to compete more effectively with its larger rivals. The government of Bangladesh has unblocked access to Facebook without lifting similar restrictions on other messaging services such as Line, Viber and WhatsApp. NTT Communications Corporation now holds a National Long Distance licence in India via its newly-established subsidiary, NTT Communications India Network Services. Indian state-owned operator BSNL is implementing Syniverse’s GRX Network Solution, INPack, to expand its global data roaming capability. Indian number four Reliance Communications (RCom) is selling its mobile towers to the private equity firms Tillman Global Holdings and TPG Capital Management. Afghan market leader Roshan has signed a multiyear agreement with Syniverse for revenue assurance and fraud detection services. Turkcell is attempting to acquire a controlling stake in Fintur Holdings from its partner TeliaSonera. VimpelCom is combining its Pakistani unit Mobilink with rival operator Warid Telecom in a deal marks Pakistan’s first merger. Indian market leader Bharti Airtel has stated its intention to invest INR600 billion ($9.04 billion) in extending its mobile broadband network over the next 3 years. Bangladesh’s recent ban on social media has already had a negative impact on data use in the market, with Robi Axiata’s network seeing a drop in consumption of around 30%. BlackBerry has confirmed that it will exit Pakistan over after it was unable to reconcile its commitment to privacy with the government’s security concerns. Facebook’s Internet.org is now offering its Free Basics app across India via Reliance Communications’ (RCom) mobile network. Indian operators will soon be able to hold more spectrum within a telecom service area following an amendment to the measurement system. The Indian Supreme Court is charging Vodafone INR20 billion ($300 million) for a merger licence that will allow it to consolidate 6 of its units in the country. Vodafone is reportedly offering to resolve its long-running tax dispute with the government of India. Reliance Jio Infocomm has reportedly delayed its 4G launch again, pushing its plans into the next fiscal year. Norwegian operator Telenor has suspended 4 top executives in relation to the continuing investigation into allegations regarding bribes paid by its affiliate VimpleCom in Uzbekistan. Digital security specialist Gemalto is delivering its Device Management platform to Bangladeshi number two Robi Axiata. Pakistan’s telecoms sector has undergone a sharp downturn over the past year, with revenue from mobile falling by 1.8% and a dramatic drop in direct foreign investment.